VILSECK, Germany — Community members should remain clear of the storm damage near the Altneuhaus housing area on Rose Barracks. Heavy storms hit the Vilseck area Aug. 9 causing damage across the installation. For your own safety, stay clear of areas roped off and all forestry equipment. The storms splintered or knocked over several hundred trees. Some trees are lying on each other under dangerous tension. In addition, uprooted trees have left wide and deep holes in the ground. 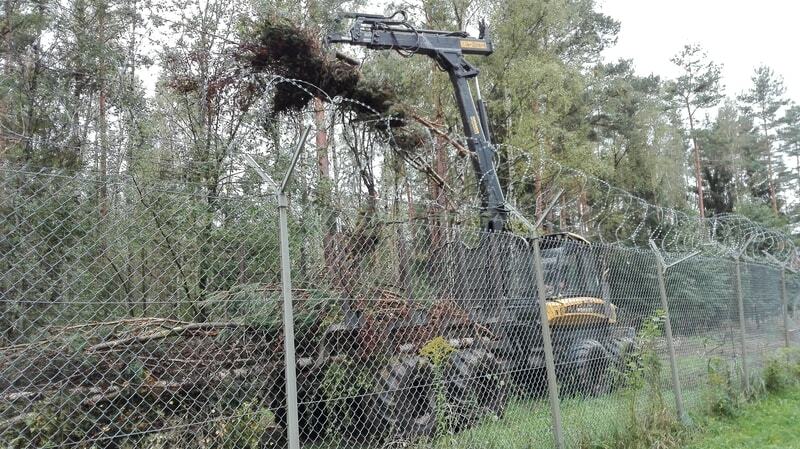 The Federal Forestry Office, Directorate of Public Works and garrison contractors are currently cleaning up storm damage with heavy forestry equipment.